Winner Take All might be the only time James Cagney is so obnoxious that I wound up disliking his character. That’s really saying something for an actor who can make me love even his mobster killers! His “Knockout” Jimmy Kane is the intended hero of this Warner Bros. boxing yarn, but he’s such a lout that by the end I felt bad for the nice girl who gets stuck with him and semi-relieved for the snobby socialite who only saw him as a novelty that had runs its course. 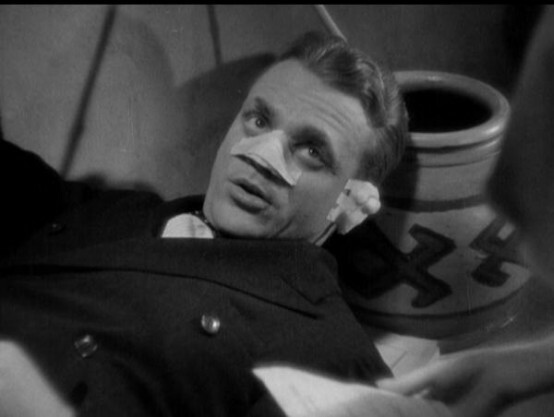 Above: James Cagney as Jimmy Kane, trying so hard to be ever so humble. Poor Kane, right? No, it’s just deserts for the swellheaded chump who by this point has forgotten all about the sweet young widow (Marian Nixon) he had left behind at the Hot Springs Ranch in New Mexico, where his trainer (Guy Kibbee) had sent him to recover from his ring wars at the beginning of Winner Take All. The Cagney we found in New Mexico was every bit as full of himself as the fellow described to this point, but isolated in the desert with no one but Peggy (Nixon) to interact with, he was allowed to show off his good side and be a somewhat lovable jerk. While Kane is at the resort for his own rest and relaxation, Peggy is there on account of her son, Dickie (Dickie Moore), but her boy’s recovery is threatened after notice arrives from her late husband’s insurance company explaining that he had let his claim lapse prior to his death. Kane, who is head over heels for both mother and son, discovers that Dickie needs another three months in the desert for full recovery, a diagnosis which will cost Peggy $600 that she does not have. Kane only knows one way to earn money, so he slips down to Tijuana on the sly hoping to box his way towards paying Peggy’s bill. The local promoter (Clarence Wilson) is not convinced that the recovering Kane can even put on a show good enough to earn the $600 loser’s share of the purse and is worried that in such a remote location the fighter will just take a quick dive for the money. The promoter eventually comes up with a proposition for Kane: “Winner take all. Two thousand bucks and not a stick of peppermint for the loser,” he tells the anxious fighter. When Kane goes to work we see why a simple appearance at Madison Square Garden, during the opening scene of Winner Take All, earned him a hail of spare change from the ringside faithful who are called upon to give their exhausted brawler a helping hand to pay for his recovery in New Mexico. Jimmy may be out of shape and out of practice, but both he and his opponent come out swinging and put on a real slugfest for the crowd. The fight ends with both fighters going down, a scene that will ring familiar to fans of Rocky II (1979), and the battered Kane struggling to his feet just before the count of ten and being declared winner. A real life double knockdown from twenty years earlier had grown legendary by this time and almost definitely served as the basis for the scene in Winner Take All. Beyond the double knockdown, Rivers’ recollection of his manager threatening to throw in the towel is another moment which Cagney acts out from his corner stool in Winner Take All. While Jimmy Kane’s Tijuana victory lacked the controversy surrounding the Wolgast-Rivers fight, the inclusion of the double knockdown seems less coincidental after coming across a Film Daily report from April 1932 that stated Joe Rivers, along with former heavyweight champ Jack Johnson, served as technical advisors on Winner Take All. No doubt the story of the double knockdown was told to the Warner’s crew first hand. 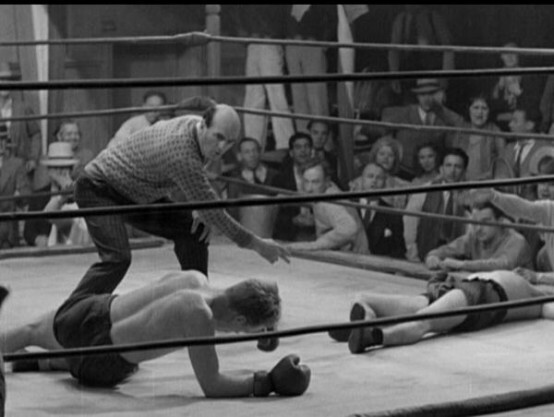 Above: Smelling salts for Cagney's Jimmy Kane. 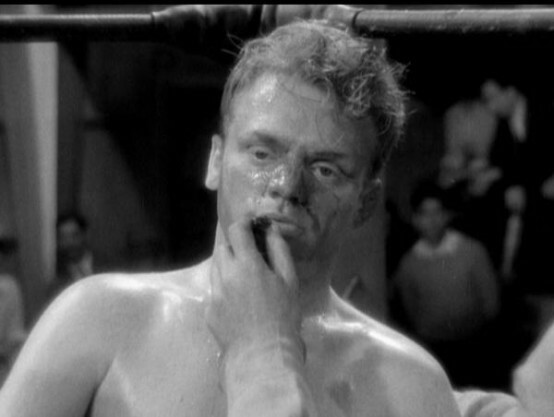 Kane’s fight in Tijuana is the first of three in-ring encounters for James Cagney in Winner Take All. As noted right on the casing of the new Warner Archive release, Cagney refused use of a double for these scenes, which were later recycled in his final film, Terrible Joe Moran (1984). 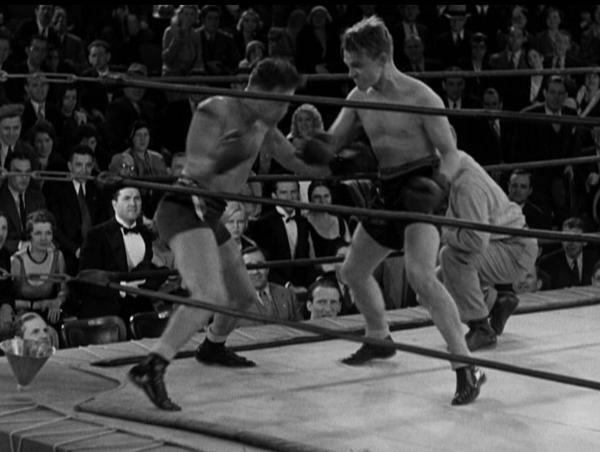 The same Film Daily report mentioning Joe Rivers also claimed that Cagney had spent two months training for his Winner Take All fight scenes. 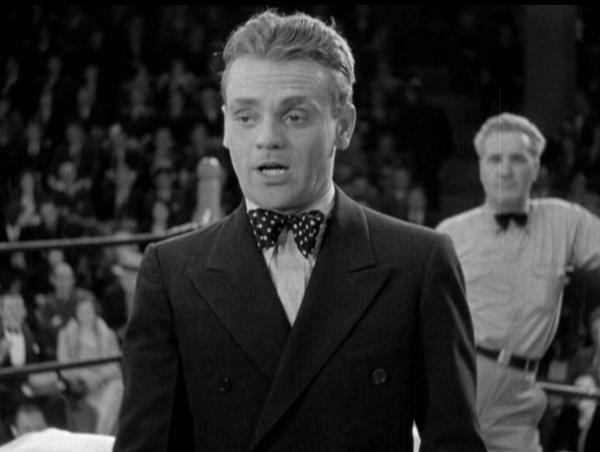 Above: Cagney in the ring. When Winner Take All premiered at New York’s Strand Theater, June 18, 1932, they had real-life boxing promoter Jimmy Johnston on hand acting as master of ceremonies, with several professional fighters, including Benny Leonard, Jack Britton and Gunboat Smith, in attendance. 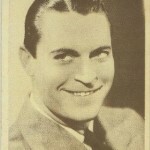 Film Daily reported that heavyweight Jack Sharkey might make the movie premiere, though that item was never confirmed. Sharkey was in the area though, and he would capture the heavyweight championship from German fighter Max Schmeling just a few nights later at Madison Square Garden Bowl in Long Island City on June 22. The aforementioned Gunboat Smith was referee of this bout and cast the deciding vote in the split decision. Warner Bros took advantage of the event to scoop the sports reporters with a master stroke of exploitation. They printed up two sets of fliers declaring each Sharkey and Schmelling the victor and then positioned a group of boys outside of the theater district to distribute the correct fliers moments after the fight had ended and the result was known. Besides news of Sharkey’s championship victory on the front cover the flier had an ad promoting both Winner Take All and The Dark Horse, another recent Warner release, on the back cover and what Film Daily described as a blow-by-blow description of Cagney’s own championship fight from Winner Take All on the two inside pages. If anybody has a copy of this flier in their collection, please email as I’d love to feature it on the site! Winner Take All was adapted by Robert Lord and Wilson Mizner from the short story “133 and 3” by Gerald Beaumont. 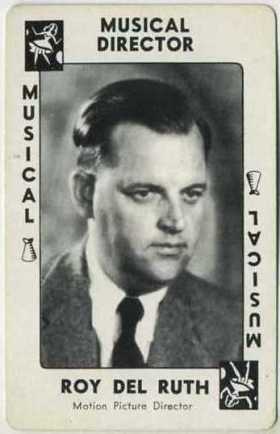 The film was directed by Roy Del Ruth and was a big part of his being named number four money-making director over the past year by Hollywood Reporter in May 1933. 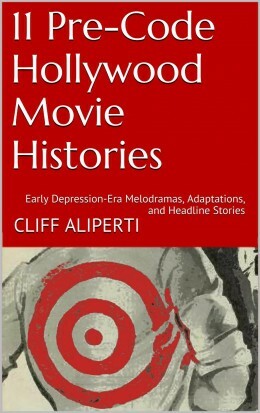 Other titles attributed to Del Ruth during the time covered include two more starring Cagney, Taxi and Blonde Crazy, as well as Blessed Event with Lee Tracy, Employees’ Entrance and The Dark Horse with Warren William, and The Little Giant with Edward G. Robinson, which only took him nine days to shoot! Winner Take All took an eternity by comparison, a full 15 days. None of those titles run very much longer than an hour and each fits an awful lot into those short running times. Each movie features a charismatic leading man aiding those breezy paces with Cagney, star of three of the Del Ruth features, the most charismatic of them all. 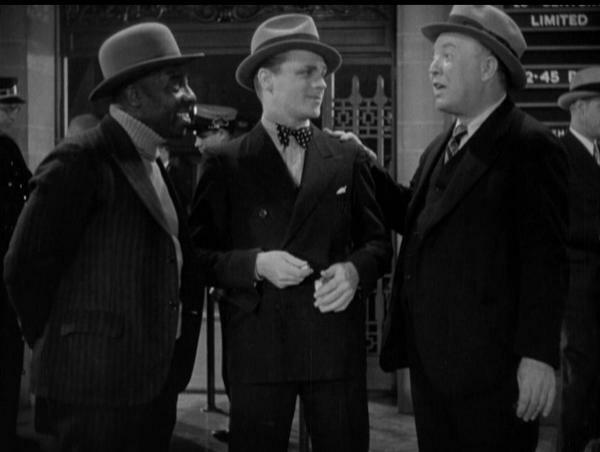 While each of those Roy Del Ruth stars find themselves playing various degrees of flawed men, Cagney’s Jimmy Kane, possibly the most on-the-level of the bunch, at least in terms of the law, comes off as least likable. Most of them are cads, but did any find themselves involved with a woman as honest as Marian Nixon’s Peggy Harmon? Before Pop Slavin (Kibbee) calls Kane back to the ring, Jimmy seemed to have found a real love match with Peggy and he also fit comfortably into the life of her son, Dickie. Back in his normal element Kane isn’t even seduced or trapped by socialite Joan Gibson (Bruce). He is in pursuit of Joan from the time he meets her, his only contact with Peggy being a postcard containing a brief message explaining that he has no time to write. While we get to see Dickie once more when his mother receives the postcard, Cagney’s Kane never encounters the youngster again after leaving New Mexico. So much for building on the character’s most tender moments in the film. Jimmy does meet Dickie’s mother again and is completely callous when he does. You could say Peggy can’t take a hint, but once she’s allowed her moment of anger you don’t expect to see her together with Jimmy again. She seemed to have won. While I didn’t particularly care for Jimmy Kane, Cagney is always a thrill to watch. His character may be dumbed-down, but Cagney is still quick with his comebacks. His footwork is all inside the boxing ring in this one and he probably sports as much make-up as he did in any film throughout his career, Man of a Thousand Faces (1957) included! I might not like Kane, but Cagney remains the reason to watch. Marian Nixon provides good contrast to Virginia Bruce, though perhaps Nixon recedes into the background a bit too much in doing so. Bruce had a much more interesting character to play, slightly twisted but more self-absorbed than the typical shade of nasty usually found in these type parts. While it is several minutes before Bruce arrives she is absolutely breathtaking to look at and makes her character more interesting than was likely ever intended. 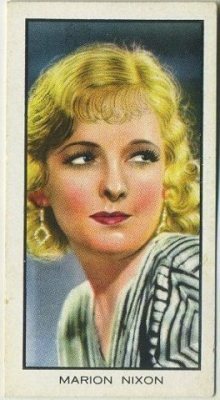 Marian Nixon fans will find her more adorable in Too Busy to Work (1932) and displaying a lot more personality in Chance at Heaven (1933). 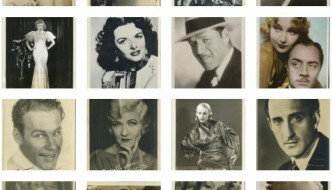 For those who aren't yet familiar with Miss Nixon, the fan magazines of the day often compared her to Janet Gaynor. The supporting cast is mostly incidental to the story but populated by familiar character actors doing what they do best. Guy Kibbee is a natural as Kane’s manager, Pop Slavin, and Clarence Muse is strong Kane’s trainer, third wheel to the ring trio of Winner Take All. Esther Howard is a gas as Bruce’s best pal, Ann, and John Roche is appropriately invisible as Roger Elliott, the man who introduces Kane to Bruce’s Joan. Alan Mowbray has a brief but memorable bit as Kane’s post-plastic surgery etiquette instructor and Ralf Harolde’s late entry to sell Kane a hot wedding ring actually came as a bit of a surprise. While I found Jimmy Kane a bit of an enigma, on the whole Winner Take All is decent Cagney stuff, top flight entertainment for fans of Virginia Bruce and a must for fight fans. 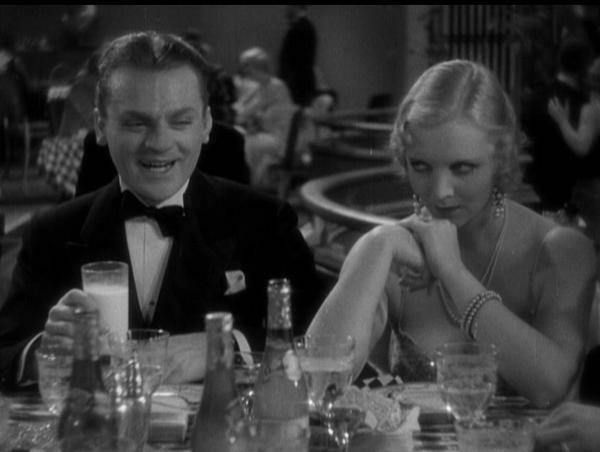 Above: Bruce stares daggers while milk-drinking Cagney entertains her society friends. I received a review copy of Winner Take All, a Manufactured on Demand (MOD) disc, from Warner Archive. 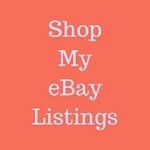 I am now on their review list and expect to cover many more titles from them in the future. 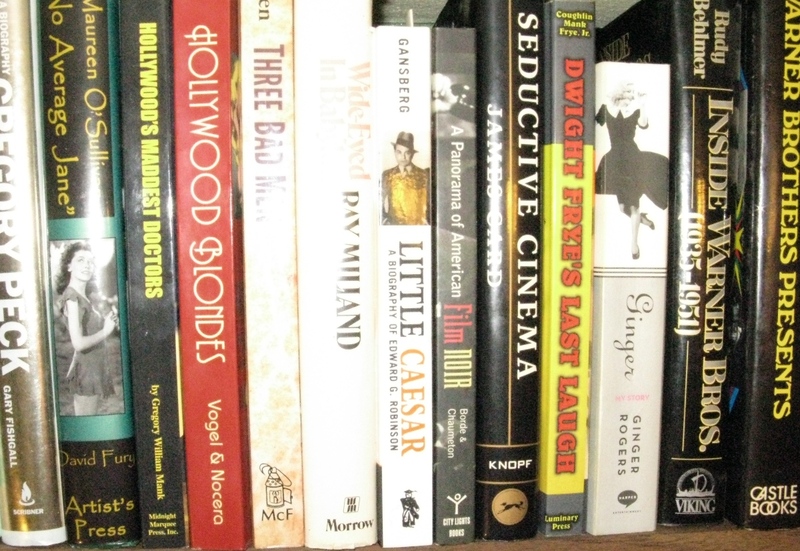 Thank you to my blogging friends at Out of the Past and Rupert Pupkin Speaks for helping to put me in touch with the right people. Above: Don't blink! 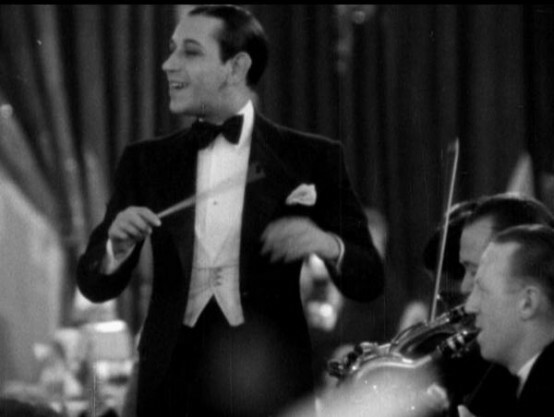 George Raft pops up for a second in a clip from his otherwise lost debut film Queen of the Night Clubs (1929). Star of that film, Texas Guinan, is shown a moment later. Former heavyweight champ Tunney, a well-read man who made the mistake of letting the sports press know it, once said, "I don't think you have to be illiterate to be a boxing champion." You'll find that quote on page 269 of the hardcover edition of Jack Cavanaugh's masterful Tunney biography, a recommended purchase not only for fight fans but those with a general interest in the 1920s. 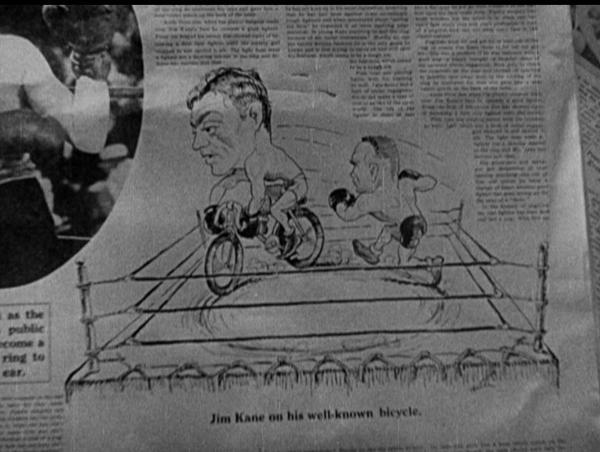 Wonderful cartoon of Cagney as Jimmy Kane on his "well-known bicycle." After Kane has his face fixed he completely changes his boxing style to become a more evasive fighter and the crowds turned on him for doing so. 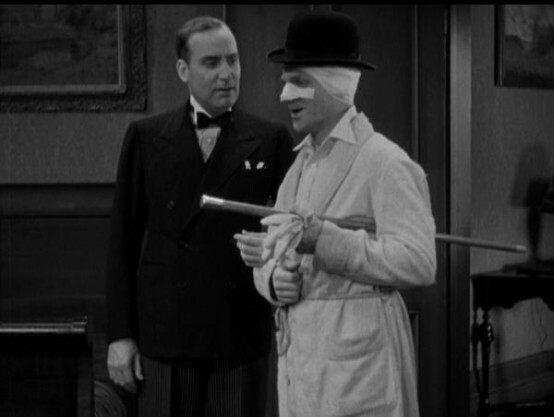 Many may not yet be aware of this, but *Cagney was also a blackbelt. He een once decked a WB’s director-(maybe Roy Del Ruth? ), for barking orders at him. & all say, *J.L. Warner actually congratulated him after! Thanks for the comments, Spence. I mention Terrible Joe Moran up above. I don’t recall seeing it, and if I did it was probably back in ’84, but the clips of Cagney boxing are said to be from this movie, Winner Take All. By the way, I know you’d been away from the site for awhile, so you can check out any posts related to your favorite, Spencer Tracy, HERE. Good to see early Cagneys like this finally getting a DVD release, though a shame it’s only in region 1. What is the print of it like? 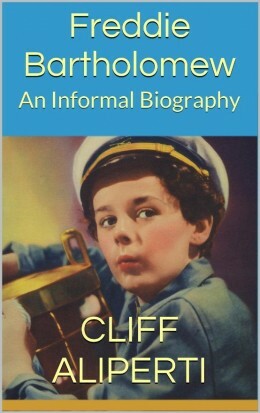 I saw this one a while back and pretty much agree with you, Cliff – Cagney isn’t likeable enough in this, or rather, he is to start with, but then becomes thoroughly obnoxious later, and I also love him in just about every other role! Plus his fake nose is a distraction. But yes, the boxing scenes are impressive and I also liked the two leading ladies. A great posting as always. Hi Judy, it was pretty crisp for the most part. Don’t know how much it helps, but the screen captures on this page were taken from the disc as it played on my PC. Looked better on the HDTV. Yeah, it’s Cagney so I’ll wait around as long as need be to like him, but kind of confused when the movie ends and I think he’s a jerk!